Brushing my teeth in a reflective daze, I stare at my shampoo bottle…I won’t miss it. Nor will I miss my brush… bobby pins- none of them. I imagine what it must be like to feel the tickle of the breeze on nothing but delicate fuzz. Towel in hand, I think about how many strokes it would take to dry my head. Staring into the mirror, I try to envision others’ questioning glances. Oh that’s right- I knew… I know. Yet recollection is a mysterious thing. While I can vividly recall my chemo-ridden body reaching for the razor five years ago, the chaotic emotions of the time have instead been replaced with gratitude, excitement- hope. Who am I to have a choice? They don’t. I didn’t… once upon a time. My own trials through cancer have been glossed over with the faces of kids around the country- of those whose stories I heard while sitting intently at their bedside. Amazement continues to knock on my soul. There is no choice but to fight- no choice but to bitterly resist the chemo bag hanging beside you, yet surrender to it… place your absolute trust and hope in it. What if… what if you had so much certainty in that little, seemingly harmless, bag that you could let go… trust… know. That you could give in and not face fear of slipping… slipping…. leaving. This is my desire, and one that the St. Baldrick’s Foundation works towards daily. The number once private funder of childhood cancer research, they hold events worldwide each year. St. Baldrick’s raised $33 million last year; this money provides grants for researchers who are working tirelessly to find less toxic treatments and cures for those children who face, and will face the same beast I did. As my heart overflows with appreciation for my own life, yet sadness that others still fight the battle I know all too well, I find that hope is the path that must be taken. I have decided to join in St. Baldrick’s mission and participate in an event that is taking place on March 30th, 2013 at Oakland Children’s Hospital. The deal? No more shampoo… no more bobby pins, brushes… or anything of that sort. In an effort to be in solidarity with cancer kids everywhere, to raise awareness, and to raise money to fund research grants, I will be shaving my head…. again. If I refuse…I lose. It is as simple as that. What is hair, anyway? Something that keeps your head warm- something that gets tied back or covered up on bad days. It can be straightened, gelled, curled, and colored. However, many people don’t realize what else it can do- create awareness, provide greater funds for research, better treatments, and hope for each and every child fighting. I am just one person, but if everyone allowed that thought to build a wall in front of them, no change would ever happen… no amazing things would take place. And so I choose to do what I can…give what I can in this life that can, at times, tell you to give up- to not give because “it is not enough.” I encourage you to do the same. We never lose by giving… only by passing an opportunity to give our own unique contribution. John and Vicki kiss my dome during treatment at Cottage Hospital in March 2008. Continuing my thoughts from yesterday’s post about the need for celebrities to Step up to the Plate to become dedicated advocates to help raise money for childhood cancer research, I want to acknowledge some people who have come up to bat. One person I want to thank is Jeff Gordon, for his compassion and dedication to establish Jeff Gordon’s Children’s Hospital . Another person who has given from his heart to help children with cancer is Jeff Foxworthy. Mr. Foxworthy has been an advocate for children with cancer for many years. He has helped CUREChildhood Cancer, and he has also helped me. I just love Jeff Foxworthy! Others celebrities who stopped their lives to respond kindly included Ray Romano and Kathie Lee Gifford… I send my deep gratitude to each of them for their contributions. The responses to my request were as varied as the people who inhabit our Earth. Some people responded with kindness, even when they chose not to help. One response that came from a famous young singer (who I will not name at this time,) I will admit, was a bit disturbing… it ruffled my mom’s feathers. Now, for my mom, a no answer was just fine. But this statement, for my mom and I imagine for many other parents, was just the same as stating, “I don’t care about children with cancer.” Does childhood cancer have to “apply” to us before we realize that it is the responsibility of every living, breathing adult to care for the children in this world? How can it be that there has not been one new therapy approved to fight childhood cancers in the past twenty years, yet our technological advances have grown exponentially? Children who “make it” through their tortuous treatments are losing their battle after the battle. The treatments are so toxic that the side effects when treatment ends can be brutally painful and life-threatening. This is why I keep writing… everyone needs to hear… everyone needs to help. My friend, Breanna, who I have been asking you to pray for, left this Earth for heaven last night. She made it through her treatments, but effects from treatment caused complications that were too much. Please pray for Breanna’s family, and please do everything you can that will help find a cure. No Money– Just a Few Minutes! My friends, today I have another “free” opportunity to show how much you care about improving the lives of children with cancer. There may be some surprises for you. I will admit there was a big surprise for me. I was shocked to learn what a pitifully tiny amount that the American Cancer Society contributes for childhood cancer. Hmmmmm…. I may have to work on them to create a “Childhood Branch.” I mean, kids are “Americans” too! Does it appear to you that I am on a mission? Yes, I am certainly on a mission! There is no way I can sit back and do nothing… I truly love the children. They need us! When I wasn’t dancing this past weekend, I was going over the first page proofs for my book. Linda, the lovely woman who edited my book with her “editorial feather duster,” did an outstanding job. I appreciate the fact that she really knows her stuff, and at the same time she allows me to be me… meaning I need to make up phrases and words that don’t necessarily exist in anyone else’s speech, or even in a dictionary. I love that Linda let me be me in my writing, but at the same time, she corrects all of those nasty little nit-picky things (like nit-picky!) 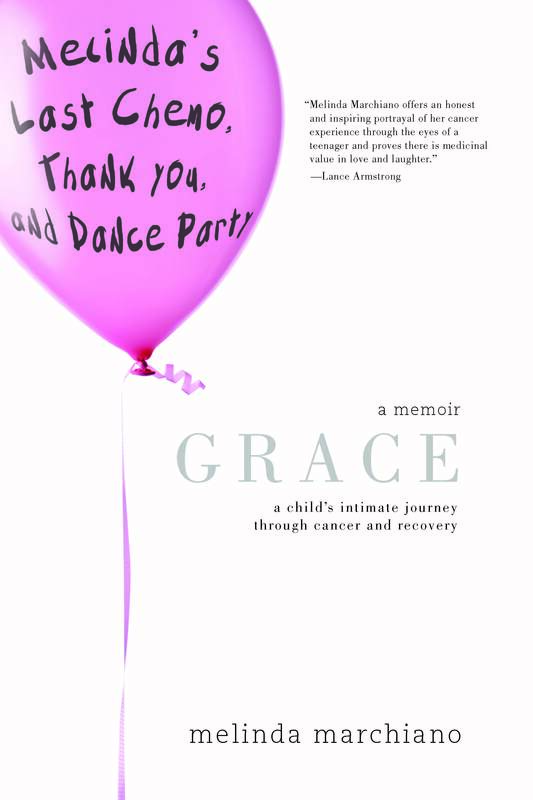 Seriously, I have never loved purple marks on my papers like I do with Linda’s marks on my first page proofs for Grace: A Child’s Intimate Journey Through Cancer and Recovery. An email response arrived in my inbox today from an assistant for Dr. Maya Angelou. Yes, I sent an endorsement request to Dr. Angelou sometime in early March. Rather than feeling disappointed that she is too busy to look at my book, I feel grateful for the kind reply from her assistant. They could have rolled their eyes at my request, and blasted me back with a, “YOU?!! YOU want a WHAT???!!!! !” But kindness and civility prevailed throughout their polite decline of my request. And now… what a smile I still have upon my face! Yes, I know it is a smile I usually reserve for when I am filled with pure joy from dancing, but a pure joy surprise appeared in my mailbox today. I opened an autographed photo that was signed to me along with a beautiful note that was written on the coolest of cool stationery The note has his name pressed into it and cowboy boots on either side of the paper. And the note and photo were signed… Jeff Foxworthy. Have you checked out his PSA for CURE Childhood Cancer? Thanks Jeff… for showing you truly care about children fighting cancer. My gratitude runs deep and wide. What an interesting project this book endorsement requesting is! Being a teenager, and a first-time author, I had no idea that after you write a book, you need to “raise it.” I am very fortunate to have someone who has helped me tread through the murky waters of book publication, and I will never forget him telling me, “Now that you have published Grace, you need to raise her!” What the heck does that mean? Well, I am finding out. I was just so deliriously happy at this time to be holding my words in book form, I didn’t really care if anyone ever read it! It is such a funny process… it’s like when you put some corn kernels in a pot, turn it on, and then things start to crackle and pop. Crackle and Pop… I am ready for the popping sounds to reach ear-popping decibals. I wish that my mind could be permanently wiped clean of the memories of my cough medicine. I want so much to be able to see that little, evil, orange bottle in the cabinet and not involuntarily shiver and cringe. Imagine the most rancid, disgusting substance on planet earth and multiply it by 1,000. Wah-lah! My cough medicine. I can recall myself scrunched up in rollie-pollie position while I desperately downed Hall’s and warm tea…nothing worked. As I stood there, splattered against the target board like a swatted fly, I prayed for results. I prayed for death. Not of me, but it. After I had changed back into my own clothes in the tiny, curtain-closed room, I emerged. “Can we see them?” I heard Mom ask the technician. “Sure,” he replied, tilting the computer screen slightly toward us. Woh, it was my chest. White areas illustrated bones, tissues, and organs… I saw a lot of it. My invasive blob was quite apparent and I silently snarled at it; it didn’t answer back. It was so weird staring at myself, but being myself all at the same moment. It was confusing to my mind, this being the first personal x-ray it had seen. “Wow, that used to be all white there,” Mom observed, pointing to a dark, black area. I held my breath, I was overjoyed.